Our far and away favorite travel credit card is the Chase Sapphire Preferred. Because of this card we are flying business class in lay-flat seats all the way from Bangkok to New York this spring. We bought those seats with points earned through our Chase Sapphire Preferred card. It really is the best travel reward card around. What we like most about the card is that its reward program allows you to convert Chase Points into any one of 11 different frequent flyer and hotel programs. That gives you tons of options to spend those points in a way that maximizes their value. In addition to all those benefits, the Sapphire Preferred Card doesn’t charge any foreign currency transaction fees. Many other cards charge 3-5% every time you make purchases in a different currency. You don’t have to pay those fees if you use the right card. Now Chase Sapphire Preferred does impose a $95 annual fee (waived the first year), which may not suit everyone. But new card members earn a 40,000 point sign-up bonus that more than offsets many years of annual fees. We’ve typically been able to routinely redeem our points for airfare at a rate of $0.02 apiece (and sometimes as much as $0.04). That makes those 40,000 sign-up points worth at least $800 in flights and potentially a lot more. But if all you need is a card that doesn’t charge extra for foreign currency transactions, there are plenty to choose from without annual fees. CapitalOne has a bunch of good options. Automatic teller machines at your destination will almost always give you the best exchange rate you can possibly hope for. We never buy foreign currency before we arrive at our destination, and we’ve never been unable to get money out of a cash machine once we get there. If you’re worried about whether your ATM card will work at your destination, take along some U.S. dollars as an insurance policy. You can always exchange them if you run into trouble with your cash card, but we’d do that only as a last resort. 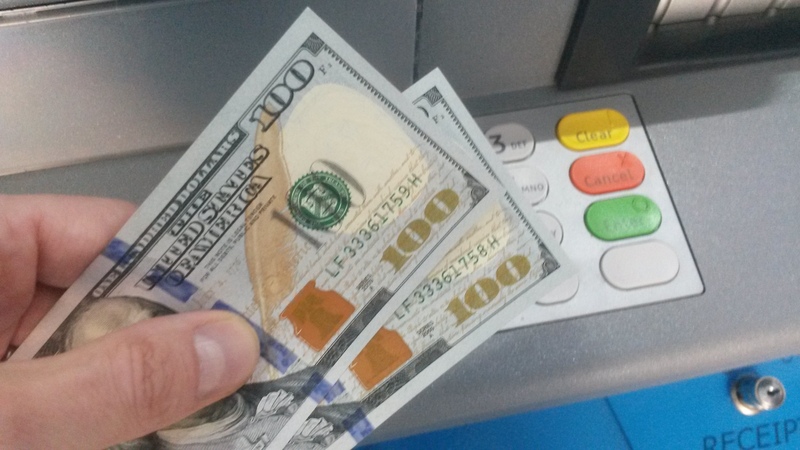 This ATM card reimburses your withdrawal fees at ATM machines around the world. While cash machines certainly give you the best exchange rate, they can easily undo that benefit by imposing other hefty fees. Many impose foreign currency exchange fees of up to 5%. But that isn’t the worst of it. In Vietnam we encountered banks that limited withdrawals to $50 and then imposed a $5 fee on each withdrawal. If your home bank levies its own $5 withdrawal fee and imposes a 5% foreign currency conversion charge you’re looking at paying $12.50 in fees for each $50 withdrawal. That’s a whopping 25% in fees for the privilege of accessing your own money. Instead open either a Fidelity Cash Management Account or a Charles Schwab High Yield Checking Account. Neither charge fees for ATM withdrawals. But it gets even better than that. Both accounts refund fees charged by other banks at ATM machines anywhere in the world. We have the Fidelity account and can attest to its awesomeness. So far Fidelity has reimbursed us for every ATM fee we’ve ever been charged. Having said that, we think the Schwab account is probably even better. Fidelity charges 1% on each foreign currency withdrawal whereas Schwab charges nothing. 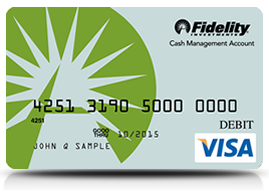 Fidelity also only reimburses ATM fees when withdrawals are made at Visa, Plus or Star machines. Schwab reimburses for fees wherever their card is accepted. When you make a foreign currency purchase using a credit or a debit card you’ll often be asked whether you want to process the transaction in your home currency. Politely decline. The going fee for such point-of-sale currency conversions ranges from 3% to 5%. Unless your card charges you more than that, and it shouldn’t charge you anything, there’s no reason for you to subsidize the merchant’s side business as an amateur currency arbitrageur. Ask to pay in the local currency. A pet peeve of ours is that some unscrupulous vendors don’t bother to ask. They just run the transaction through in your home currency. That happened to us routinely in Spain. To avoid that it’s a good idea to get in the habit of asking to pay in the local currency when you hand over your card, although even then we still had a couple of merchants “mistakenly” transact in U.S. dollars. We’ve noticed that internet merchants have increasingly gotten into the business of screwing customers on exchange rates. The worst offender we’ve encountered thus far is Ryanair, a European discount airline that automatically converted my ticket price from Euros into dollars immediately after I entered my credit card information. The switcheroo would have been super easy to miss because I was literally one click away from finalizing the transaction. Even worse, it took a bit of searching and a few more clicks to figure out how to undo the conversion. And when I finally pulled up the right screen I got a warning message saying that I “risked significantly higher costs” by processing the transaction in Euros. Other information on that page, though, confirmed my suspicion. Ryanair was using a terrible exchange rate that, had I accepted it, would have increased my ticket price by more than 7%. Thanks for posting this information that will benefit many people. There are so many options now that just researching it all could be overwhelming. And the type of travel and traveler makes a huge difference in what works best. I’m just glad the days of traveler’s checks are over! Ha. They still sell traveler’s checks. To whom, I’m not sure, but they still do exist. Aussie travellers will need do their own research. The GEmoney 28degrees Mastercard seems to be good value for purchases but not withdrawals. Also be careful about fees when shopping online. We have found our normal day to day card smacks us on foreign transactions when at home, so we use our ‘travel’ card. As always, you make a good point. The things we mention here only apply to folks from the U.S. Other countries have different banking products and are generally unable to use the ones mentioned here. It still surprises me how many of my friends and family will buy currency (usually Euros) before leaving home to travel to another country! It boggles the mind. Use an ATM, people! Thanks for the seriously useful info. I never fly Ryanair. Crooks, the lot of them. For European travel out of the UK, try Easyjet or Flybe. Also, we find this side of the pond, a pre paid credit card is useful (Fairfx or Travelex) as they can be topped up on the move.